Ahmed Mohamed el-Tayeb, the Grand Sheikh of al-Azhar, which is the oldest and foremost institution of Islamic learning in the world, apparently does not wish to meet with Patriarch Beshara al-Ra'i, head of Lebanon’s Maronite Church, during his current visit to Egypt. Ra'i, in an interview with Reuters earlier this month, said change could not be brought to the Arab world by force and Christians feared the turmoil was helping extremist Muslim groups. "We are with the Arab Spring but we are not with this spring of violence, war, destruction and killing. This is turning to winter," he said in the interview. Ra'i added, "They speak of Iraq and democracy, and one million Christians out of an original 1.5 million have fled Iraq… All regimes in the Arab world have Islam as a state religion, except for Syria. It stands out for not saying it is an Islamic state ... The closest thing to democracy (in the Arab world) is Syria." Ra'i, who is on a pastoral tour of the region this month, visited Jordan and Qatar last week and started his four-day trip to Egypt on Saturday. “May God protect Egypt’s Copts from Patriarch Ra'i’s counsel,” screams the title of a comment by Lebanese political analyst Iyad Abu-Chacra published today in the leading Saudi daily Asharq Alawsat. “At the moment,” he writes, “I and everyone else who wishes Muslim and Coptic Egyptians well hope Egypt honors its esteemed guest in every possible way – except lend an ear to his political discourse. 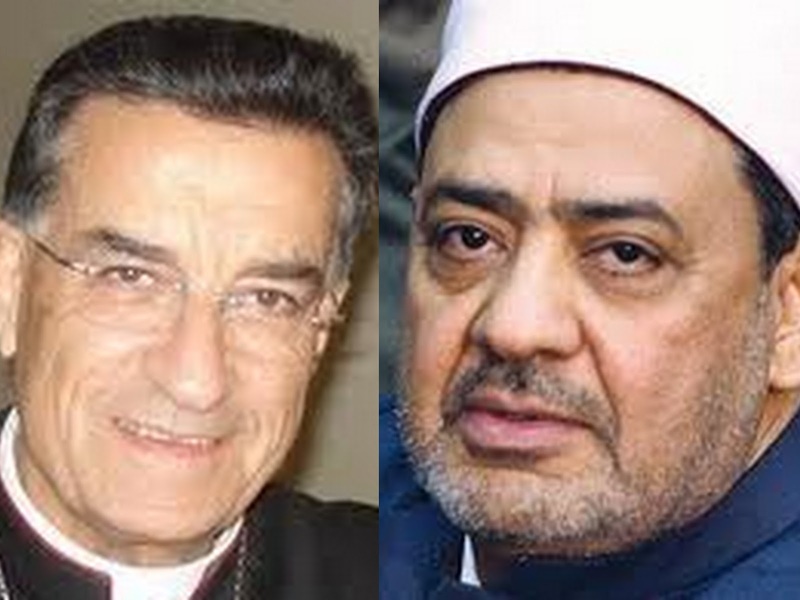 “Judging by his statements and positions, Patriarch Ra'i is fully convinced of the “alliance of the minorities” theory. He is totally dismissive of the fact that some regime thrive on Mafia-like tactics to intimidate people before exploiting their fear.